The minister of information Culture and Tourism Alhaji Lai Mohammed has disowned twitter account accused of twitting fake news. This was revealed in a tweet on the official twitter account of the All Progressive Congress (APC) on Sunday. 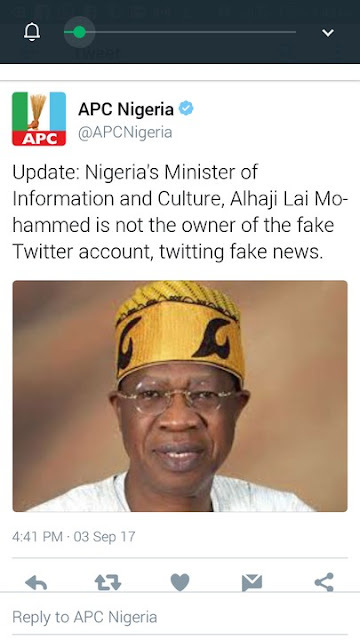 Update: Nigeria’s Minister of Information and Culture, Alhaji Lai Mohammed is not the owner of the fake Twitter account, twitting fake news.